To open PDF files, you will need Adobe's Free Acrobat Reader. All materials below are available as free downloads. 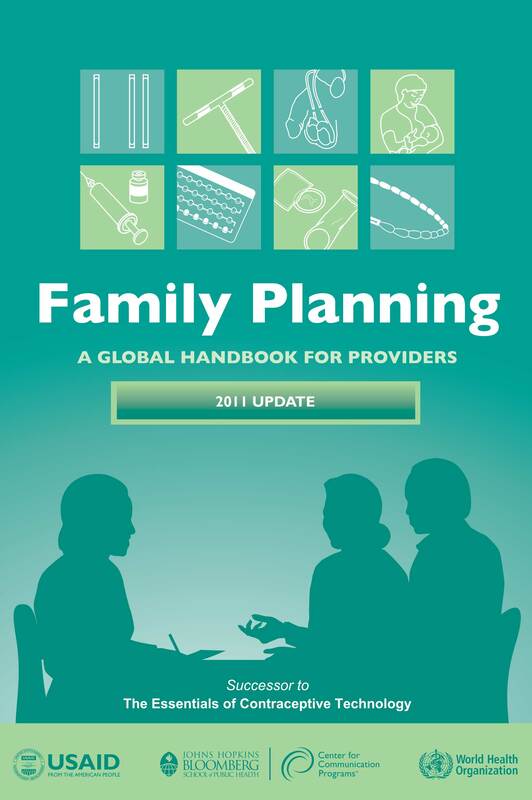 The publishers welcome requests to translate, adapt, reprint, or otherwise reproduce the material in Family Planning: A Global Handbook for Providers and this website for the purposes of informing health care providers, their clients, and the general public and improving the quality of sexual and reproductive health care worldwide. Developed collaboratively for clinic-based healthcare providers in developing countries, the Global Handbook offers the latest guidance on providing contraceptive methods. For additional information, please visit our About page. 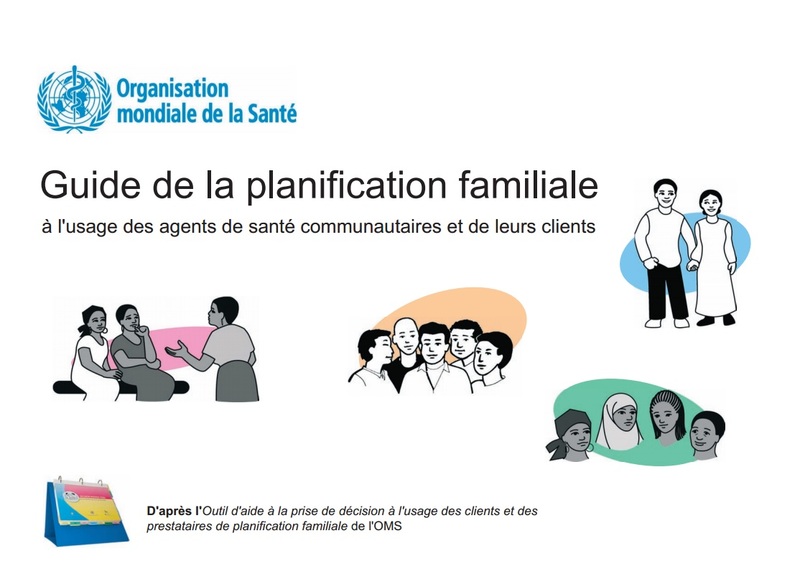 Do You Know Your Family Planning Choices?, also called the Family Planning Wall Chart, was adapted from the Handbook and contains key information for clients about contraceptive methods and options. 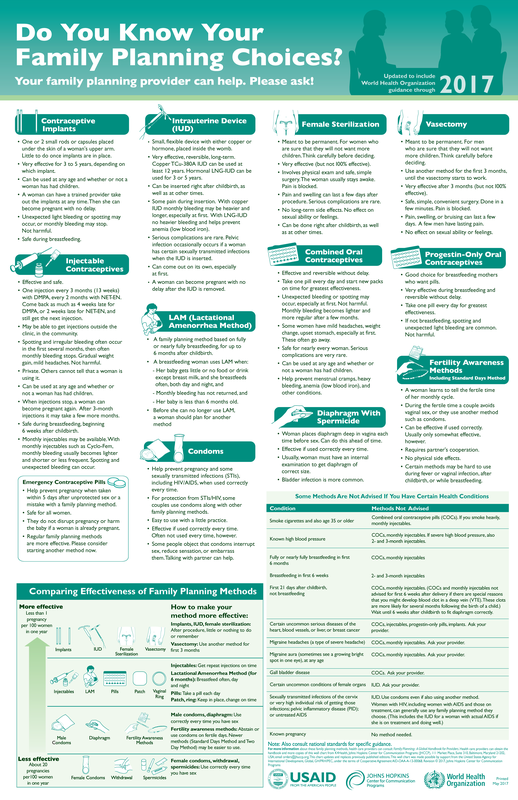 This flip-chart is a tool to use during family planning counseling or in group sessions with clients. It can help your clients choose and use the method of family planning that suits them best; give you the information you need for high-quality and effective family planning counseling and care; and help you know who may need referral.